"My mission is to make cannabis cooking a broader conversation among a more diverse group of people and not just preaching to the choir." There was once a time when Andrea Drummer was completely against cannabis. That is until she met a cannabis advocate whose success and productivity as an attorney challenged her point of view and opened her mind to the possibilities of how she could use the botanical wonder in her own profession. 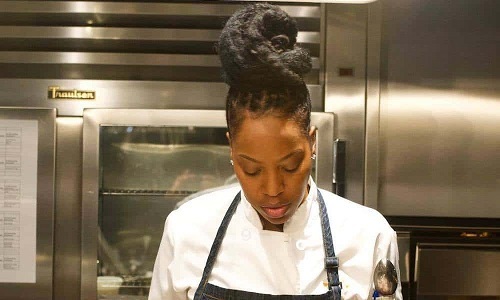 She started a culinary events company called Elevation VIP Cooperative and began curating high-end fine dining experiences via private cannabis-infused functions and invite-only VIP dinners in Los Angeles.